The Finnish Peace Education Institute and Cultures of Silence research project (University of Helsinki) have recently published new teaching material against antisemitism and racism. Similar materials have been published in 15 European countries. This international project is led by Anne Frank House and ODIHR (OSCE). The materials are targeted at secondary and upper secondary schools, as well as vocational institutions. These pedagogical tools provide activating exercises for all the themes discussed, and can be used in e.g. history, ethics and psychology teaching. The first booklet, "Persecution of Centuries," discusses antisemitism both in the past and today. The second booklet, "Prejudiced - me?" focuses on prejudices, stereotypes and discrimination as phenomena. Both of the booklets aim at providing tools for critical thinking and acting against racism. The publishing and printing of the 2000 pieces of these materials have been financed by the Finnish Ministry of Education and Culture. Additional funding is presently being applied for by the Peace Education Institute to be used for the distribution of these materials and educational seminars. January 27th has been an official Holocaust Remembrance Day in Finland since 2002. In Finnish the day is called Memorial Day for Victims of Persecution (Vainojen uhrien muistopäivä), in Swedish, the second official language, Memorial Day for Victims of the Holocaust (Minnesdagen för förintelsens offer). The Finnish Holocaust Remembrance Association (Holokaustin uhrien muisto ry), funded by the Ministry of Education and Culture, has been responsible for arranging the annual main commemoration event. The association also maintains a webpage dedicated to the history and memory of the Holocaust. 6th November is a nationally important day of commemoration for Finland. On that day in 1942, eight Jewish refugees were deported from Finland into the hands of the German Security Police. A monument commemorating this incident - called “Hands pleading for help” (“Apua anovat kädet”) - was unveiled in 2000 in Helsinki. At the inauguration event the Prime Minister Paavo Lipponen presented an apology to the Jewish community of Finland in the name of the Finnish government and people. 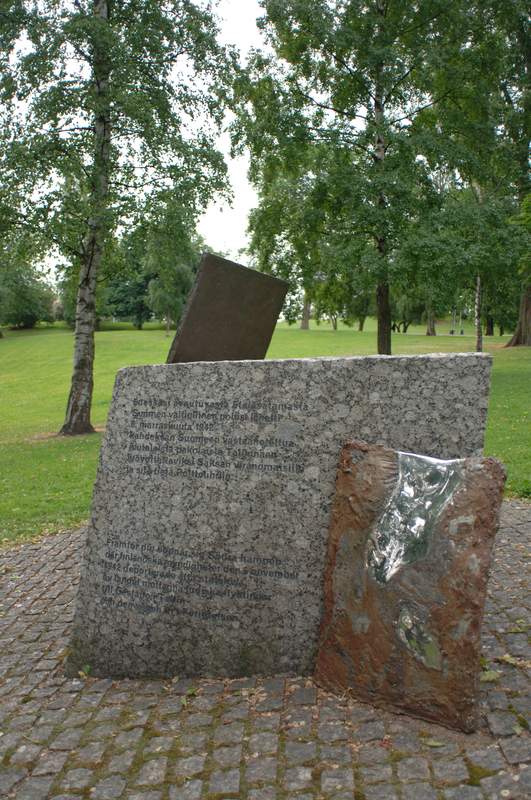 The Helsinki Jewish Community annually arranges a commemoration ceremony at the monument of the deported. On the 70th anniversary of the event in 2013, a commemorative seminar was arranged by the University of Helsinki and the Ministry for Foreign Affairs at the Finnish National Museum. The former Prime Minister Paavo Lipponen appeared as keynote speaker. Another monument for the victims of the Holocaust, unveiled in 1970, can be found in the courtyard of the Helsinki synagogue. The Jewish community holds there an annual remembrance ceremony on Yom HaShoah. During 2012 and 2013 an exhibition called “A History for Today” (“Historiaa nykypäivälle”) has been touring Finnish towns. This exhibition, dedicated to the fate of Anne Frank and also presenting the latest research results on Finnish Holocaust history, has been compiled in cooperation between the Anne Frank House, University of Helsinki and the Peace Education Institute (Rauhankasvatusintituutti). Despite these initiatives, and the commitment displayed by government agencies, the Holocaust remains a subject not generally recognized as relevant to the history of Finland and the Finnish people. Further and stronger government, educational and scholarly efforts are clearly needed to raise awareness of the Holocaust to general Western standards. Since the 1990’s, research into Finland’s Holocaust-era history has been making significant progress. The dominant historical interpretation, in effect denying any Finnish participation in and responsibility of the Holocaust, has been challenged in several works, both journalistic and academic. The present scholarly consensus largely acknowledges the part played by the wartime Finnish government and civilian and military authorities in aiding and abetting the realization of both the Holocaust and the war of extermination against the Soviet Union. The major research effort in recent years has been the government-funded research project “Finland, Prisoners of War and Extraditions in 1939-55”, which operated under the auspices of the Finnish National Archives in 2004-2008. Currently, the Academy of Finland is funding another Holocaust-related research project, “Cultures of Silence,” under the University of Helsinki. A scholarly network for researchers working in Finnish universities with Holocaust and genocide–related themes has been in existence since 2012. The network is funded by the Ministry of Education and Culture, and also provides the Finnish IHRA delegation with expert members and a connection to the academic research scene. Holocaust and Genocide Studies, or any comparable subject, are not currently part of any Finnish university curriculum. 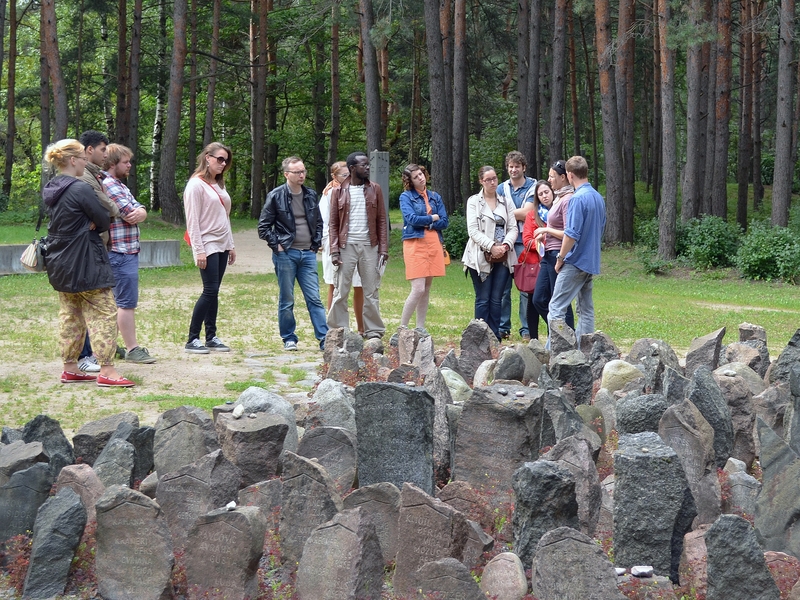 The only regular Holocaust-related teaching at the university level is offered by the course “Introduction to Holocaust and Genocide Studies” under Helsinki Summer School since 2011. The course has nevertheless enjoyed a growing popularity, and has been able to attract to Helsinki each summer an international group of renowned scholars and students.